Finding a safari escape that won’t break the bank is about as rare as spotting a leopard in the boughs of a marula tree. 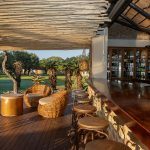 But at the new Bayala Private Safari Lodge & Camp in northern KwaZulu-Natal you’ll find a five-star game experience at three-star rates. 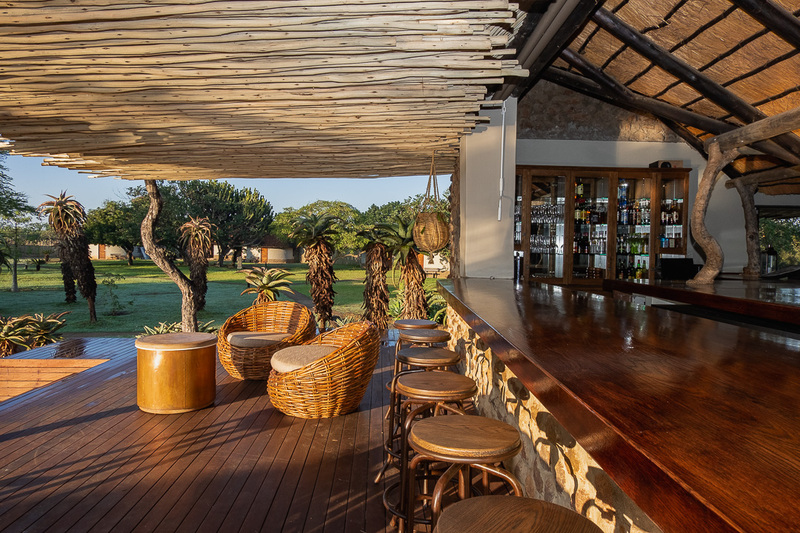 Bayala Private Safari Lodge & Camp is situated within the Munyawana Game Reserve, a massive conservancy bordering onto the UNESCO-listed iSimangaliso Wetland Park. Once a hunting farm, today Bayala is a haven for wildlife, and in 2018 fences were dropped with neighbouring conservancies to offer visitors the opportunity of traversing 10 000 hectares of pristine KwaZulu-Natal bushveld. They also saw the opportunity to create a destination that offered an affordable safari destination for South African travellers who are too often priced out of the country’s leading luxury lodges. Today Bayala offers two similar, yet separate, accommodation options. Bayala Safari Lodge offers 24 rooms set around spacious lawns and a large swimming pool. Spacious communal areas gaze out over the bushveld while, come evening, dinner tables are scattered beneath a spread of acacia trees. With an abundance of serenity, Bayala Safari Lodge is an ideal choice for couples seeking some R&R in the great outdoors. Bayala Camp, on the other hand, is ideal for families and multi-generational travellers. Charming thatched rooms encircle the main lodge, ensuring younger travellers are safe to explore the grounds on their own. Some of the 24 rooms offer sleeper couches for little children, while the 14 Superior Rooms are inter-leading and boast small private terraces with uninterrupted views over the bush. Along with a family-friendly pool area at the central lodge building, Bayala Camp also has the benefit of a large outdoor boma, where fireside dinners are enjoyed under the stars. All rooms in both the Bayala Camp and Bayala Safari Lodge have recently been refurbished, offering air-conditioning, en-suite bathrooms and a stylish yet subtle safari aesthetic. Between game drives, which are offered in the morning and afternoon, young travellers will find plenty of entertainment with the unique Mini-Ranger activities, where Bayala’s qualified guides take youngsters on bush walks to learn everything from animal tracking to bird identification. Bayala Private Safari Lodge & Camp is also proving popular with school groups, who spend up to four days on immersive ecology courses, discovering the biodiversity of the region. That conservation-first ethos extends to working with the local community. The Godfrey’s registered charity – The Cycle of Life – uses cycling tours as a fund-raising tool to support a host of conservation and upliftment initiatives amongst local communities. The funds raised through The Cycle of Life also aid in the ongoing fight against rhinoceros poaching in the region. Conservation and tourism work seamlessly together at Bayala Private Safari Lodge & Camp, while also creating a memorable, affordable safari experience for South African travellers. With flexible seasonal rates, prices range from R2 475 per person per night sharing to R2 775pppns for a superior room. Single occupancy rates are R3 710, up to R4 010 for a superior room with a patio. Kids under 12yrs are charged R1 230pn. Kids under 2years are free of charge. This includes dinner, bed, breakfast and one game drive per night (and VAT at the current rate of 15%). There is an additional Conservation Levy of R99 per person per day for anti-poaching, maintenance of roads and security. Additional game drives are R909 and a bush walk is R1 360. Rooms can accommodate one child under 12 sharing with two adults. Families with children under the age of 12years must book a private vehicle, at an extra cost. Bush walks are available for anyone from 16 to 60years of age. All rooms are either twin or double bed en-suite boasting 100% cotton linen. Complimentary tea and coffee is provided. For more details visit http://bayala.co.za/ and follow them on Instagram on @bayalaprivatesafarilodge/ and Facebook BayalaPrivateSafariLodge/. To book #Bayala online click here, or email reservations@bayalagamelodge.co.za or call +27 (0) 35 562 0498, 035 562 0420.